The first calls for projects have been launched for the EU framework programme “Horizon 2020” for Research and Innovation, with a budget of EUR 80 billion. Universities, research institutes and companies now have the opportunity to apply for the EU funding programme, which is set to run until 2020. Horizon 2020 is the largest publicly financed research framework programme worldwide and the third-largest financial item within the EU budget. It focusses on innovation and market proximity. A simplified financing model and non-bureaucratic procedures are designed to appeal to further potential participants such as universities, research institutes and companies. It is intended to be of particular benefit to SMEs, while the application procedures have been streamlined and research policies linked to structural support. 20 per cent of the budget is earmarked for programmes especially for small and medium-sized businesses. 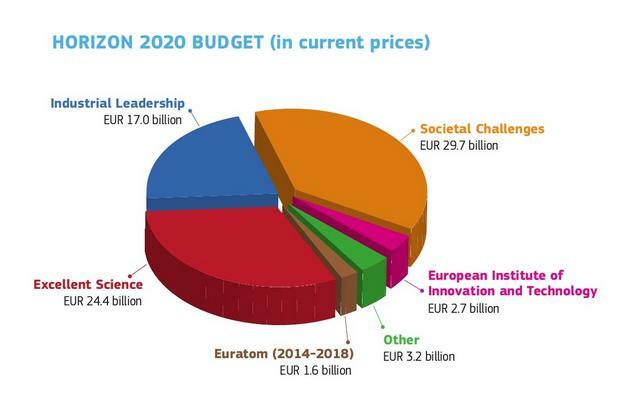 Horizon 2020 is worth nearly €80 billion over seven years, including funding for nuclear research under Euratom. This is an increase of nearly 30 percent in real terms compared with its predecessor, the Seventh Framework Programme for Research and Technological Development (FP7). 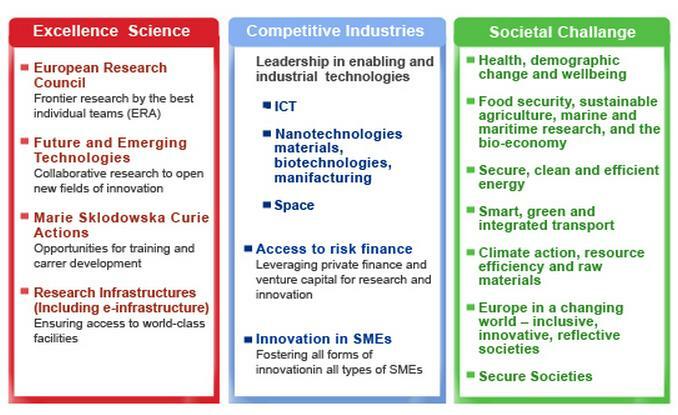 The structure of Horizon 2020 is different to FP7 and the programme encompasses the EIT and parts of the former Competitiveness and Innovation Framework Programme (CIP). 5. a reduced burden of financial controls and audits, thanks partly to the use of flat rates for indirect costs, a major source of error in the past.